The same exact bundle that I’ve been using to create drone videos lately is on sale for about $400 cheaper than the price I paid. This is the Amazon deal of the day, so the deal only lasts 24 hours. is on sale for $683 (regular $1099). 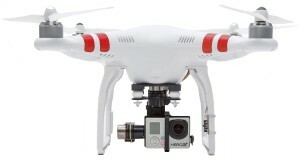 Great deal for a solid and proven quadcopter. This entry was posted in Drone / UAV and tagged Amazon, Hot Deal, Phantom 2 Quadcopter on April 7, 2015 by David.